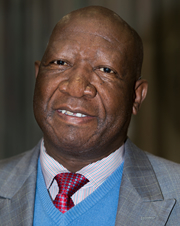 He completed his law studies at the University of Limpopo, then known as the University of the North in 1984. He was admitted to practice as an Attorney on the 4th of August 1987 following a two (2) year period of articles of clerkship that commenced in June 1985. He holds a Management Development Program Certificate from Wits Business School and a Master of Business Administration degree from Regenesys Business School in South Africa. 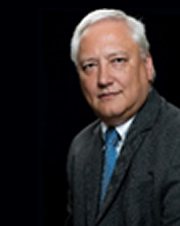 He has held several senior management positions amongst which is serving as Principal Attorney in Legal Aid South Africa, serving as Municipal Manager within local government in South Africa as well as serving as a Legal, Risk and Compliance Executive at Creditworx, a subsidiary of Thebe Investment Corporation. He was appointed as the Legal Practitioners Fidelity Fund Executive Director Designate on the 1st of June 2011. His designation changed to Executive Director on the 1st of November 2011 and was later changed to Chief Executive Officer a position he holds to date. Jerome holds a B Comm Law, LLB, LLM, Post Graduate Diploma in Financial Planning and a MBA degree from the University of Stellenbosch and is an admitted attorney of the High Court of South Africa. 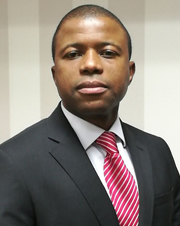 Jerome manages the Fund’s claims division and is also an ex-officio member of the Fund’s Risk Committee, Audit Committee, Finance Committee, EXCO and the Board of Control. Andrew is responsible for financial strategy and oversight. His career has always been centred on the legal profession. He joined the Fund in 1990 as head of finance. Prior to that he was general manager of a large law practice in Cape Town, and was previously financial manager of a document exchange service for the legal profession based in London. Andrew has a B Compt (hons) from UNISA, and a postgraduate diploma in tax law from UCT. Robert Burawundi holds the following qualifications, an Executive MBA (UCT GSB), a Bcom (Hons) in Financial Analysis and Portfolio Management (UCT), a Bcom in Economics (UCT) , and certificates in Strategic Decision and Risk Management (Stanford), Mathematical Modelling of Derivatives (Unisa), Securitization (UCT), Negotiation (UCT GSB), among others. Robert has practical experience in investment strategy, governance and value based risk management and is responsible for the sustainable growth of the Fund’s investments and the viability of its primary revenue stream, including innovation in the revenue ecosystem. 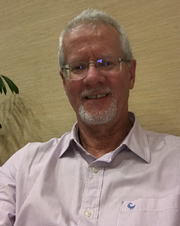 He is a practitioner in decision analysis and quality, negotiating and collaborating with multiple stakeholders, and setting up strategic portfolios. He is an ex-officio member and convenor of the Fund’s Investment and the Treasury Committees, which are committees that provide oversight of investment assets and the primary revenue stream of the Fund respectively. He is also a an ex-officio member of the Fund’s Board of Control, and the following committees, EXCO, Audit and Compliance, Finance and the Risk. He also serves in various industry forums. 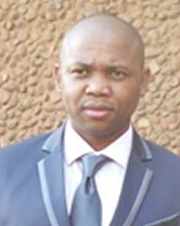 He is a member of the Institute of Directors and was a Certified Compliance Professional with the Compliance Institute of Southern Africa in 2011, and 2012. 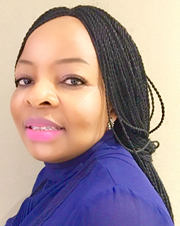 Nomonde Kraai is the Fund’s HR Executive, a qualified HR professional with BA degree and Senior Leadership Development Programme Diploma. She joined the Legal Practitioners Fidelity Fund in May 2016 after holding different senior positions in a number of institutions. She has been a strong pioneer as an HR specialist boasting 16 years of experience. Mr Jan de Beer (BCompt. Hons.) joined the Legal Practitioners Fidelity Fund in January 2012 with more than 20 years’ experience in the financial services industry, specifically the banking sector. 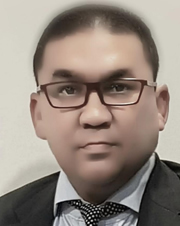 Dr Motse Tsogang has more than 15 years of Information Technology experience including both business and technical capabilities, where a large part of his experience is spread among academia, technology consulting and banking domain business consulting. Dr Tsogang is a certified enterprise architect both in TOGAF and Zachman for Enterprise Architecture and business services consulting. He has authored and co-authored several conference and journal papers as part of his research and academic engagement. Dr Motse Tsogang holds four academic degrees, which are Bachelor, Honours, Masters and PhD all in the fields of Information Systems and Computer Science. He Joined Legal Practitioners Fidelity Fund on January 2017.